Balise Nissan of West Springfield Offers Unbeatable Tire Prices! Mounting and computer-balancing for the purchased tires. Free tire rotations for life (when you purchase four tires). 2-year Road Hazard Warranty on the tires purchased. We don’t have to tell you how important the tires of your vehicle are when it comes to the overall safety and performance of your vehicle, and that’s why we’re so proud to offer West Springfield drivers our Balise Nissan Tire Center. It seems that there is a common myth out there that says buying auto parts (like your tires) from your local Nissan dealership is more expensive than buying parts from a general auto parts store or an unaffiliated garage. This is simply not true when you make the decision to purchase your next set of tires from Balise Nissan of West Springfield! Okay, Price-Match Aside, Why Should I Buy My Tires at the Dealership? We get this question a lot, and we don’t want to knock anyone else’s business, but we can tell you that our dealership is a better choice for parts, car care, and especially tires. 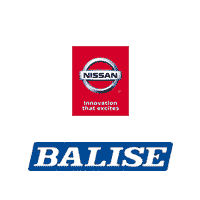 When you buy your tires with Balise Nissan, you’re buying tires from Nissan experts. No general garage out there has the same level of knowledge as our Nissan technicians, and having a Nissan expert choose the right tires for optimal performance and handling can be crucial to getting the most out of your vehicle. We’re also more likely to carry the specific tire you need, since we’re a Nissan dealership! Moreover, it never hurts to have a Nissan-trained technician performing the work on your vehicle, because they might notice something that could have otherwise gone undetected by the untrained eye. *Tires must be exact match (brand, tire line, size, load rating, speed rating) and price must include mounting and balancing of tires.